The Big Bang UK Young Scientists & Engineers Fair has teamed up with TV science presenter Greg Foot to keep us entertained this Christmas. The Big Bang Fair is the UK's biggest single celebration of science and engineering for young people. In this video find out how you can make a snowflake. Why do you think the film is called one in a million? 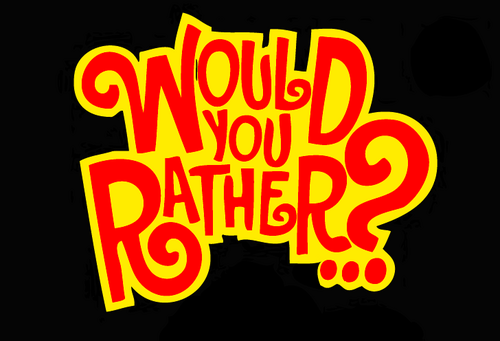 Today it's time to play Would You Rather? The idea is simple. Have a discussion about which choice you would make. Make sure you have a good reason for making that choice! Would you rather walk around with Rudolph's red nose or Rudolph's antlers?